Welcome to ´Learn with Michael´, THE driving school that can help YOU pass your driving test 1ST TIME! 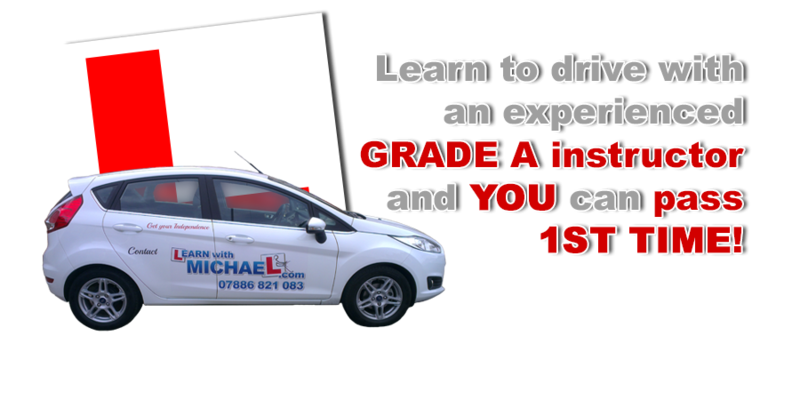 Learn with Michael is an independent driving school which I have run for over a decade, located and specialising in Hayes Middlesex since 2006. My driving tuition is professional punctual, and reliable and my driving lessons are as much fun as they are informative. I am a Fully Qualified GRADE "A" DSA Approved Driving Instructor with more than 10 years Independent Teaching experience. I use proven teaching techniques which enable my pupils to learn quickly and achieve their goal 1st time within budget. My 1st Time Pass Rate is extremely high and pupils past and current continue to recommend the services which I continue to provide. My company reputation is based on Quality Customer Care and Positive Learning. 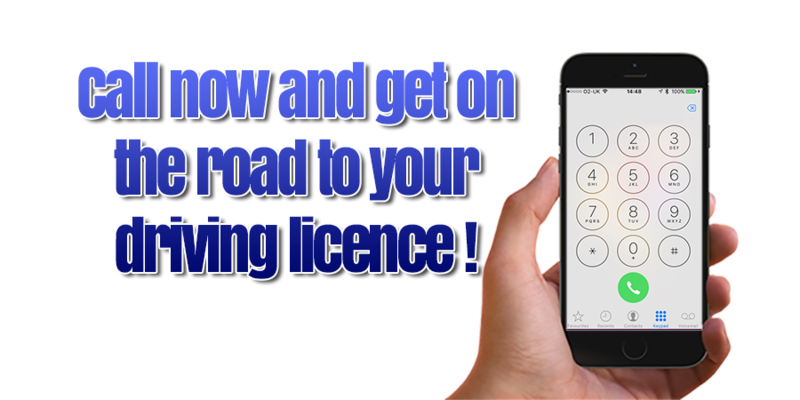 Recognised by the relevant authorities and respected throughout the local area Learn With Michael is a successful highly recommended Driving School. I provide tailored driving lessons with a specific learning structure for each individual Learner Driver. Lessons are competitively priced with a variety of discounted block booking packages. Whatever your circumstances; The services I provide will help you to regain the skills and confidence necessary to deal with today’s modern traffic conditions or get you fully prepared for your Driving Test. Absolute beginners, nervous and intermediate ability pupils are always welcome. You will receive a warm enthusiastic welcome the moment you make contact and we can discuss your requirements personally. I abide to an equal opportunity policy and will not discriminate against Race, Colour, Creed or Sexual Orientation. One to One Tuition: Your lesson time will not be shared with another pupil in the car. Tuition is strictly One to One. Your lessons will be professionally prepared with clear and easy to follow instructions. The teaching techniques I embrace ensure effective positive learning in a relaxed atmosphere. Car: The car used is a new 5 door Ford Fiesta, which has air-conditioning and is fitted with “He-Man” dual controls which provide security and safety for all learner drivers. Online Services: Free online Theory Test Training. Free Homework Tutorials and online diary. Online learning and homework programs. Online diary. Area: I specialise in Hayes Middlesex and cover the following areas Cowley, Cranford, Harlington, Harmondsworth, Hayes End, Heathrow, Sipson, West Drayton and Yiewsley. Additional Services: Pass+ Tuition. Refresher Lessons. Motorway Lessons. Mock Tests. Assessment Lessons. Discounted Block Bookings and Gift Vouchers. I will explain what happens on a Driving Test and how the Test Examiners will mark you. We shall also do an eyesight test, nothing serious, just to check that you can read a number plate from a set distance. I will explain the "Cockpit Drill" and explain all of the hand and foot controls, where they are how to use them and how to understand my instructions. As a bonus the lesson will also act as a Great "Ice-Breaker" without any commitments. This would give you the opportunity to demonstrate your current driving ability and for me to identify any areas or aspects of your driving which may require improvement. The aim of the Assessment Lesson is purely to see how capable you are rather than to teach new skills or eliminate errors. However I shall if required help you to improve any skills that I feel will benefit your overall driving ability. By far the best package for the first time driver who is genuinely committed to learn how to drive. This is the least expensive hourly rate package. But rest assured tuition is NOT COMPROMISED. You will receive complete and unedited tuition throughout. You will save over £60 compared to the standard hourly rate. If you’re happy with your Introductory Lesson and you really want to commit to a scheduled learning program this is the one to go for. Lesson durations can be varied between 90 minutes and 2 hours to suit your needs and therefore enable a steady learning pattern.